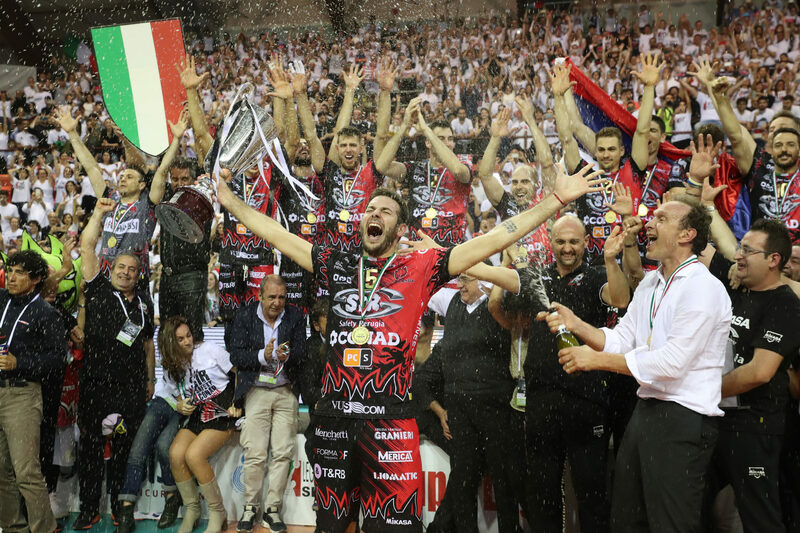 A year after winning their first-ever Italian Championship, Sir Safety Conad Perugia has elected to decline the spot it earned to participate in the 2018 FIVB Club World Championships. In the process, the club has taken a shot at the selection procedure for the tournament, saying that they don’t wish to buy their way into the tournament. The club says instead that it will “invest its resources by participating in events that it deserves to take part in,” preferring to focus on the Italian league and European Champions League. In 2017, FIVB selection procedures said that teams qualifed by either being the host country champions (Poland), the Asian, South American, and European Champions, or the 2017 National Champions from the best ranked countries, not yet qualified, in the FIVB World Rankings; plus 2 wild cards, which often include at least one other team from the host country. This year, besides the 3 major champions, the rest of the spots were awarded by the Professional Sports Events organization that Perugia is referring to. This year, because of Perugia’s declining, there were 3 wild cards given. One went to the host country’s 6th-best team from last season, and 7-time Polish champions, Asseco Resovia Rzeszow. Cucine Lube Civitanova, the 2016 and 2017 Champions League bronze medalists, 2017 Italian Champions, 2017 Club Worlds silver medalists, and Italian Championship runners-up; earned another wildcard spot, ostensibly as a replacement for Perugia to represent Italy; and Fakiel Nowy Urengoj from Russia, who won the second-tier CEV Challenge Cup. Rzeszow seems like an odd choice, but the club has made a number of huge signings this off-season that should make them at least a viable competitor. The club added 8 new players this offseason, including Kawika Shoji, David Smith, Damian Schulz, and Mateusz Mika. Civitanova has likewise added some big names, including Cuban star middle blocker Robertlandy Simon after a dramatic saga. There are still 2 spots remaining in the tournament that have not yet been announced. Zenit Kazan, as Russian Chmpions; Sramayeh Bank Tehran as Asian Champions; and Sada Cruzeiro as South American champions have earned their spots in the tournament. Perugia’s latest power move is part of a growing chorus of European clubs, especially in Italy, that have begun to push back against international governing bodies, seeking more control and influence over the format and scheduling of international tournaments.